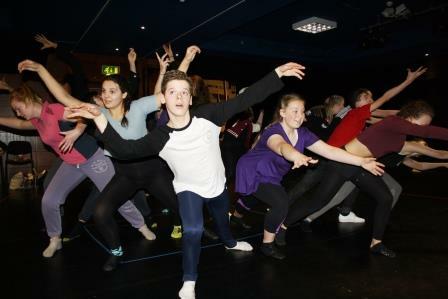 Royal & Derngate continues its development of dance provision for young people and has built valuable relationships with some of the world’s leading dance companies, providing unique experiences for young people to learn from renowned choreographers, practitioners and dancers. We were delighted to collaborate recently on A PROJECT FOR JONNY with Sir Matthew Bourne’s company New Adventures & Re:Bourne to provide a unique dance training initiative in memory of dancer Jonathan Ollivier. In August 2015, Jonathan tragically died and in response, the Ollivier family created an online fund to raise money for Re:Bourne, the charitable arm of New Adventures. Some of the funds raised were used to deliver a project for young people in Jonathan’s hometown of Northampton in collaboration with Royal & Derngate. 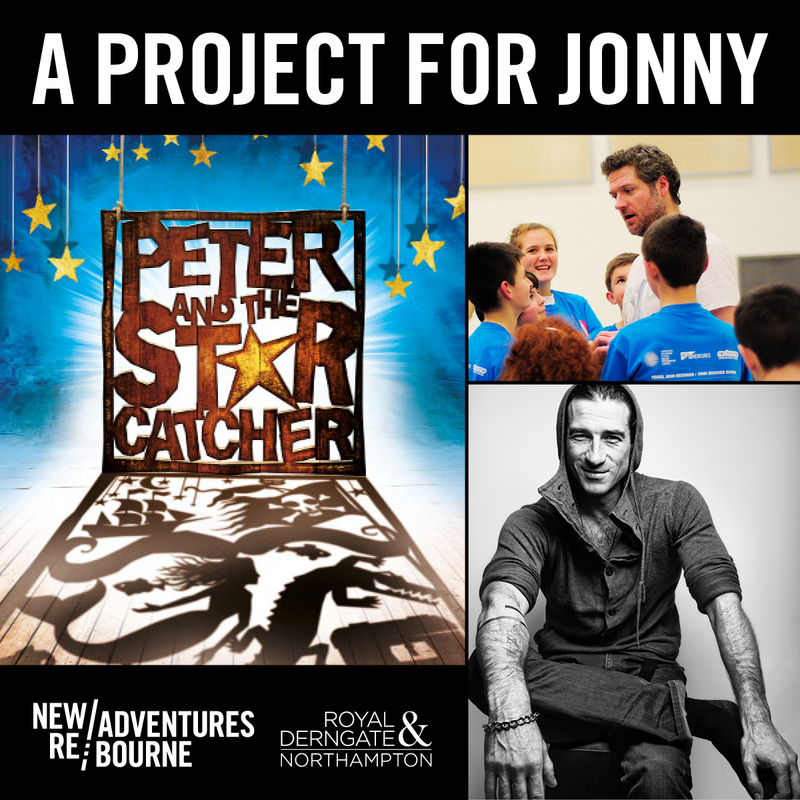 In December 2016, Royal & Derngate hosted the European premiere of the five-time Tony winning show Peter and the Starcatcher in which audiences were taken on an unforgettable journey through a Neverland they never knew. The production’s Movement Director was Tom Jackson-Greaves, who has a long history as a dancer with New Adventures. To coincide with the show, Royal & Derngate and New Adventures & Re:Bourne worked with young people from across Northamptonshire to develop a response piece under the leadership of two New Adventures & Re:Bourne dance artists. Their performance drew on the pioneering choreographic language of New Adventures and the staging of Peter and the Starcatcher itself. 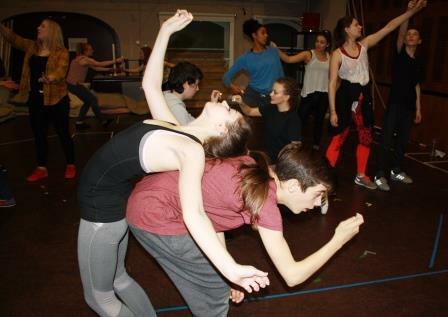 This unique curtain-raiser piece was presented on Friday 16 December, complementing the evening performance of Peter and the Starcatcher and was introduced by Sir Matthew Bourne. This project was focused on young people aged 14-21 who may have little or no previous experience of dance, with a particular emphasis placed upon encouraging young men – too often averse to dance training – to take part. Following the success of New Adventures production, Lord of the Flies, in which the cast was made up of professional dancers and young men from the local community, this new production touring in 2019 will feature both young women and men. Each set of Young Cast members will perform on the main stage of their local theatre alongside New Adventures professional dancers. Royal & Derngate are delighted to be collaborating with New Adventures to host auditions and intensive rehearsals culminating in the Young Cast members performing with the professionals dancers during the run at Royal & Derngate in 2019. The production title will be announced later this year. 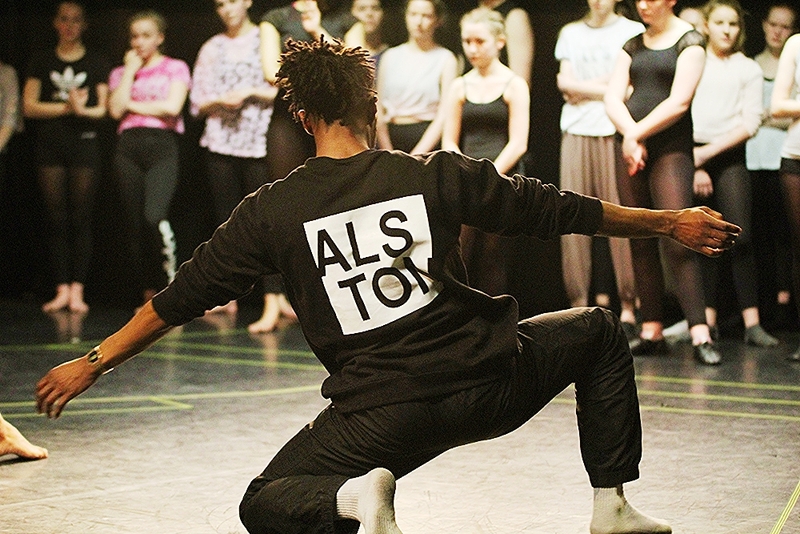 In April 2017, Richard Alston Dance Company (RADC) and Two Third Sky Dance artists worked with over 200 young people across 10 schools and arts organisations, providing a rare opportunity to engage with Richard Alston’s repertory ‘up close’ whilst developing creative dance practice with emerging dancers. 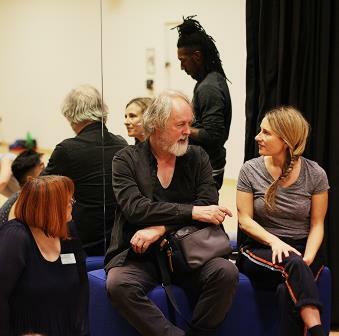 40 dancers were then put forward for a masterclass experience with Richard Alston, together with RADC dancer Ihsaan de Banya and Two Third Sky’s Laura Gibson accompainied by project director, Lisa Spackman, where the group were put through their paces; exploring elements of technique, reperatory from Nomadic (2015) and sharing their own creative work with Richard himself. Richard and the team then selected 20 extraordinary young people from across the region to create a new work for Royal & Derngate that was performed as a curtain-raiser to RADC’s professional programme at the theatre in October 2017. The new work What Happens in the Silence was co-choreographed by RADC dancer Ihsaan de Banya and Two Third Sky’s Laura Gibson. It was set to the taut and rhythmically complex composition Cheating, Lying, Stealing (2008) by David Lang. The project was an exciting collaboration between renowned dance companies, Royal & Derngate’s Creative Learning team and local schools and arts organisations, all promoting the immense talent within Northamptonshire in an exciting curtain-raiser performance. As part of our Youth Theatre & Young Company provision, we are currently running a weekly dance group for young people aged 12-16. 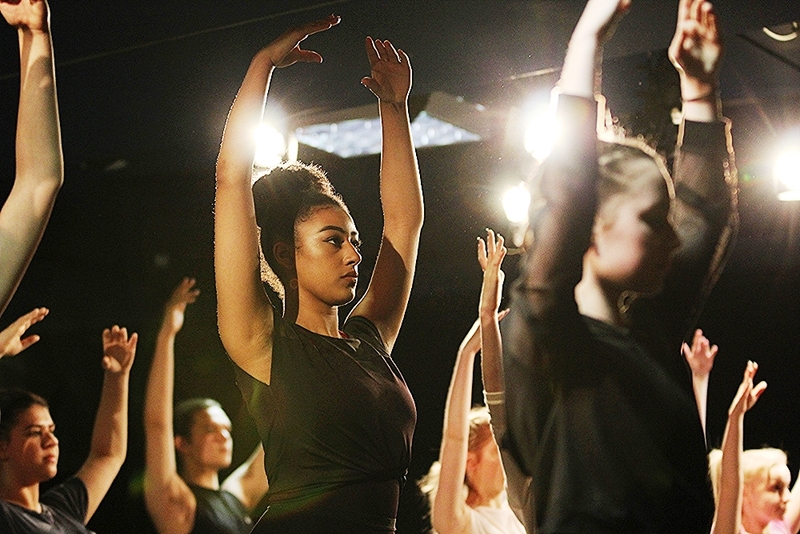 The group works each week with a top choreographer to develop quality movement pieces whilst learning dance devising techniques that will be showcased over the year in a series of sharings and performance opportunities. Please visit the Youth Theatre & Young Company page for more information and application form.